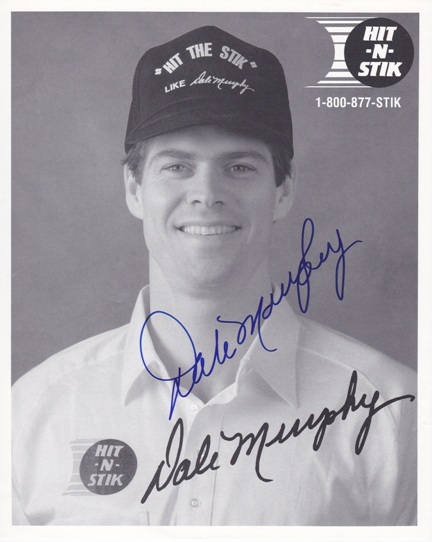 Dale Murphy has personally hand signed this 8x10 Photo. This is not a pre-print or copy, but actually autographed by the athlete(s) listed. This item comes with The Real Deal Memorabilia authenticity sticker on the photo and a Certificate of Authenticity.